Seoul, Korea has been on the top list of many Filipinos’ must-go places in the last couple of years. 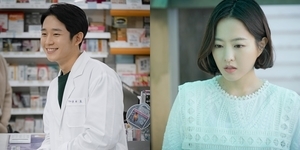 Some visit to enjoy K-culture, while others book tickets to haul K-beauty products straight from the source. While I totally check off those two on my list of reasons, there is one other motivation that made me brave the solo trip there alone – the food. There are many reasons to love the country and its food culture definitely makes a good case for it. Here, a guide to all the treats you should never miss in Seoul, whether it’s your first or tenth time visiting. 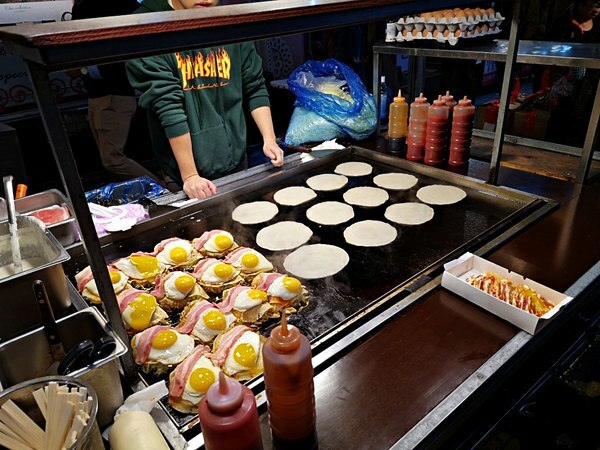 You can find several stalls hawking these tasty-looking treats at Myeongdong’s infamous street food alley. 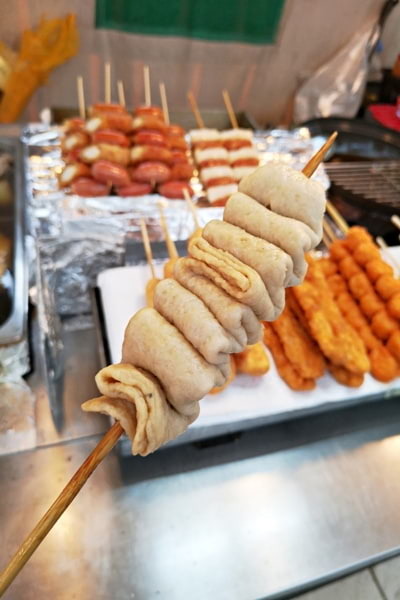 The small shops usually offer a wide variety of choices, from grilled hotdogs covered in egg and seaweed, to crab sticks skewered with vegetables and rice cakes. Do be careful in ordering more than what you can chew if you’re planning to do a street food crawl. These sticks may seem unassuming but they can fill you up pretty well! This is definitely one of my favorites during my food adventure in Seoul. As it happens, it is also one of the most expensive. 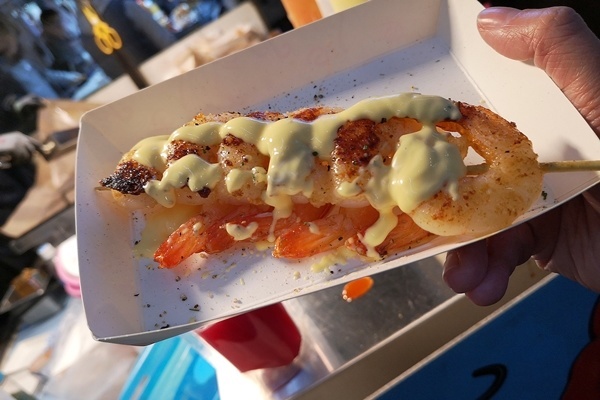 While street food stalls usually offer cheaper snacks for the budget-conscious, this one sits more on the splurge list at KRW 15,000 or around P700. 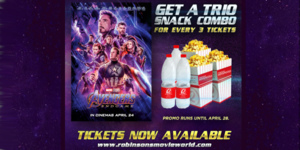 You’ll realize quickly that the extra cash is definitely worth it, however, after you take a taste of the fresh, succulent meat topped with melted cheese on top. To be honest, I underestimated the heaviness of this dish when I bought it during one of my food stall hunts, but it is one carbo load that I definitely do not regret. Omelette pancakes are made with flour, cabbage, and strips of bacon finished with a sunny side up, mayonnaise, and sweet sauce on top. It sounds like any breakfast lover’s dream, but I won’t judge if you crave for it for lunch and dinner, too. If there’s one thing I realized during my food trip in Seoul, it’s how much I love seafood. Unlike here in the Philippines, stalls peddling various seafood are pretty common (see cheesy lobster), not to mention more accessible and affordable. These grilled shrimps may sound plain, but its sprinkling of salt, pepper, and melted cheese makes it the perfect afternoon snack. 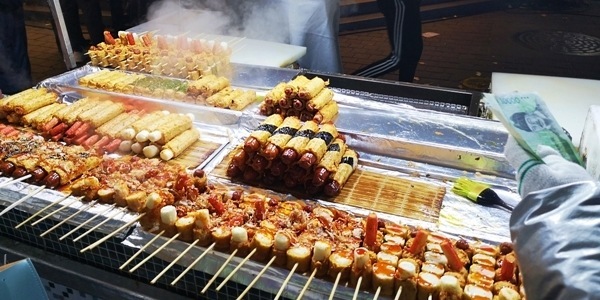 It is almost a crime to visit Korea without having to try its infamous fish cakes or odeng. If you are a fan of Korean dramas or just K-culture in general, then you probably know that this savory treat is a very well-beloved snack of the locals. It is almost unbelievable how something as simple as fish cakes cooked in hot broth can be so good. You can opt to season it with a light layer of special soy sauce before eating it, but the plain fish cakes can be pretty stellar on their own, too. 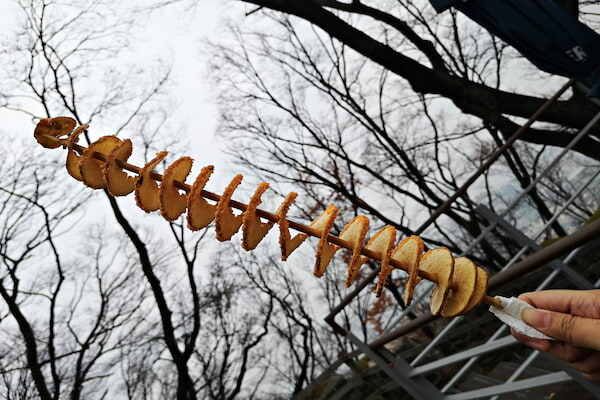 This one’s another standout among all the street foods I’ve tried during my trip. As a steak lover, I couldn’t pass up the chance to buy a plate of torched beef when I passed its stall. I was honestly expecting tough, hard-to-chew meat when I ordered it, but instead, I got cubes of juicy, medium-rare goodness that almost melts in your mouth. 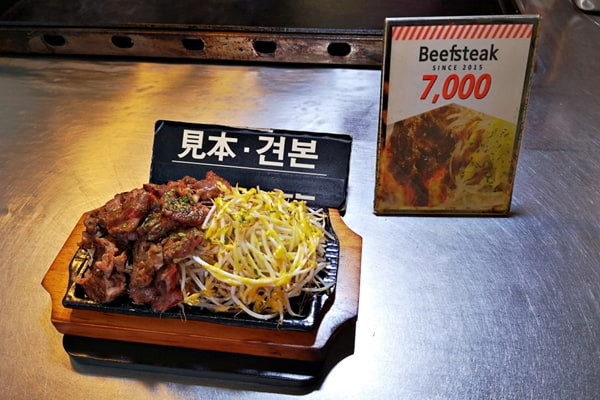 Each slice of beef is perfectly seasoned, and the addition of crunchy bean sprouts adds an interesting texture that will leave you wanting to order a second helping. I always make it point to check out all the new treats I can buy from convenience stores whenever I travel. 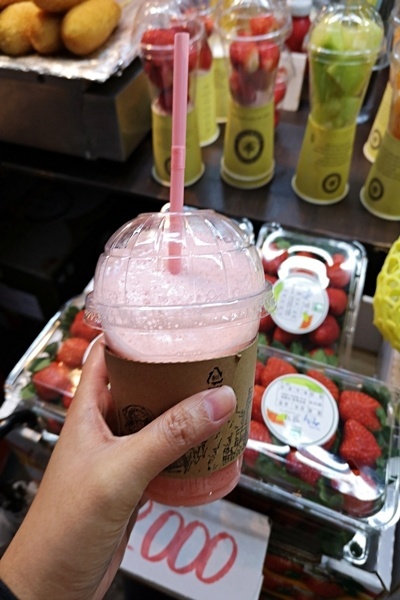 If there is one thing I will suggest you stock up on during your stay in Korea, it’s strawberry milk – another iconic symbol of K-food culture. While I honestly only bought one for the sake of the 'gram, the not too sweet and light flavor of this treat immediately got me hooked. I also recommend the banana flavored one because, why not? 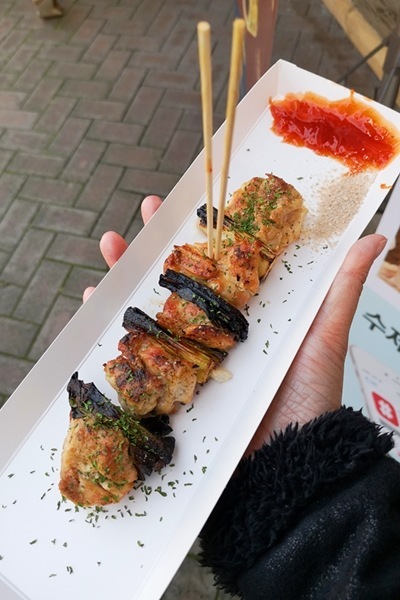 I only happened to try this grilled chicken skewer because it is the nearest stall that doesn’t have an unforgiving line close to Ewha Women’s University, but boy did I hit the jackpot. I was only planning to eat a stick to curb my hunger till I get a proper sit-down lunch, but I consider this heavenly cubes of grilled chicken as one of the best things I’ve ever tried during my trip even if I only wolfed them down by the side of the road. Each piece is grilled and seasoned to perfection – tender but with a little bit of a crunch from the torching. You can choose from a variety of flavors, too – I chose the classic salt grilled one because it was recommended by the owner himself. Again, another one of the drinks I ordered for the sake of the 'gram but ended up falling in love with. 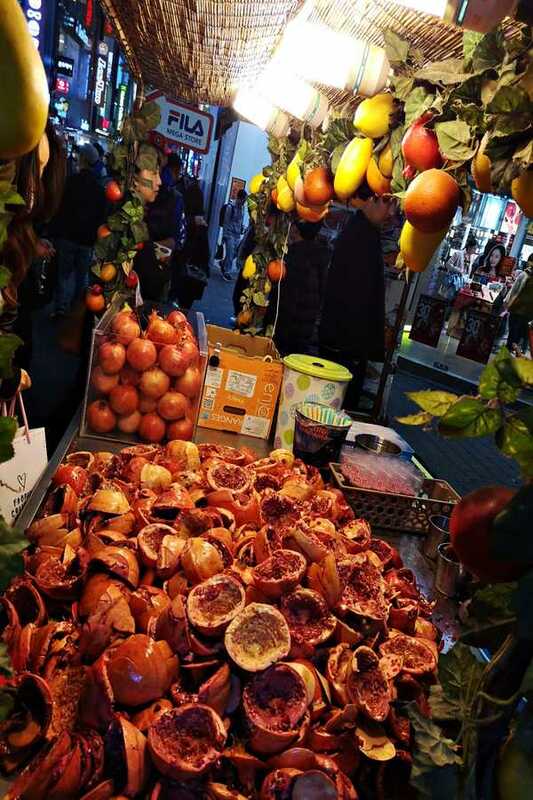 It is quite hard to miss this stall in Myeongdong with its luscious-looking display, and I couldn’t help but be curious about how pomegranate tastes like since I’ve never tried it before. Turns out it is very refreshing, sour with a little bit of sweetness that is perfect to cleanse the palate after all the eating you’ve been doing. Do be careful in holding the plastic container though. The stain can be pretty hard to get rid off if you accidentally spill it on your clothes. This one isn’t really new since potato tornadoes once blew up here in the Philippines before, but there is something about getting it in Korea that somehow makes them a lot special. Not only are they bigger and more affordable, but they are also the perfect mixture of crunchy and chewy. You can choose from cheese, barbecue, and salt flavor when you order one. You must be wondering, what makes the fruit shake from Korea so special from the ones we have here? Well, for one, you are sure that they are using fresh fruits because you can choose which cup you want to have. Second, they blend it in front of you so you know that you will get a genuine-tasting one without the added milk, sugar, or extra flavoring. It helps that they are crazy cheap, too. 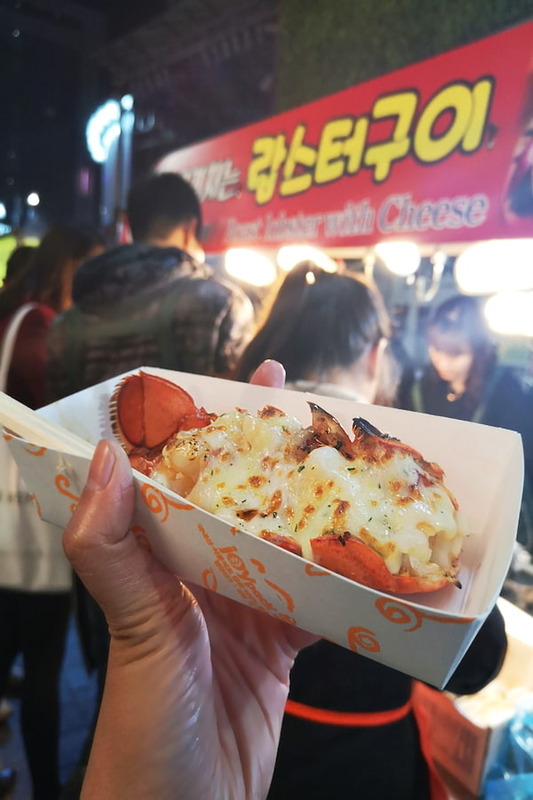 With so many food stalls lined up in Myeongdong, some sellers have to be creative with their stalls to attract customers. This grilled seafood stall is one that definitely caught my attention thanks to its loud, but oddly cute displays of octopus stuffed toys. 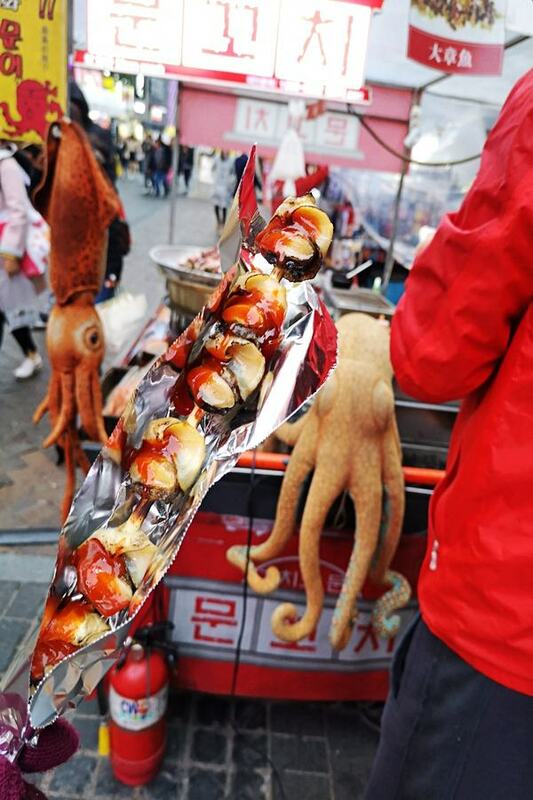 You can choose from different kinds of shellfishes and other Korean favorites like octopus which they will grill, steam, or torch in front of you. I suggest you go with the spicy sauce to add a little kick to them. Myeongdong Kyoja is one of the only three sit down restaurants I visited during my one-week vacation in Korea (yes, I survived on street food). I have already read a lot of rave reviews about the place during my pre-travel research but got discouraged because every single article talked about how long the lines can get there. I don’t know if I was just lucky during the time I wandered to it, but the place didn’t have a lot of people so I scored a seat immediately. The menu is simple: Kalguksu noodles (chopped noodle soup), Kongguksu noodles cold soybean soup, Bibimguksu spicy noodle soup, and Mandu dumplings. Since it was the middle of autumn and it had been raining the whole day, I opted for a steaming bowl of Kalguksu noodles with spring onions, ground beef, and dumplings. The moment I tasted it, I knew why the place was so popular among locals and tourists alike. The noodles are soft but not mushy, the broth not too salty, and the ground beef adds just the right amount of flavor to the bowl. It helps that the restaurant is pretty generous on the dumplings they add, too. One bowl felt like it could have fed two people. All in all, I consider myself a very happy and lucky girl that night. Do you have a favorite dish in Korea? 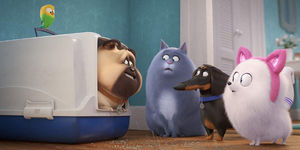 What are you planning to try on your visit? Tell us in the comments section below! 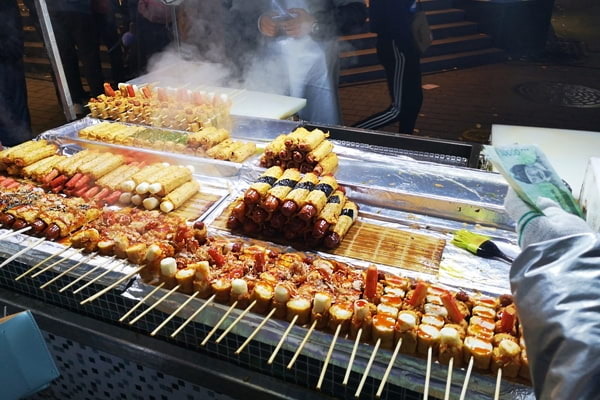 Amidst the bustling streets of Taipei, you'll see a variety of street food stalls hawking delicious items where locals and tourists gather up for mouthwatering meals. We found the best Pad Thai in Bangkok!